Animal welfare in Vietnam - Welttierschutzgesellschaft e.V. Whether pangolins, civets or binturongs - together with the national organisation Save Vietnam's Wildlife (SVW) we fight for the wildlife in Vietnam. Despite the nature conservation laws, Vietnam's biodiversity has suffered greatly in recent decades. For the animal kingdom in particular the illegal wildlife trade represents a serious threat. A safe life in freedom is not possible for many animals. Injured animals taken from the wildlife trade are brought to a rescue centre in the country's oldest national park, the Cuc Phuong National Park. In the centre the animals are checked and cared. If their condition permits it, they are re-released in largely hunting-free regions as soon as possible. Chronically ill and injured animals find their permanent home at the rescue centre. 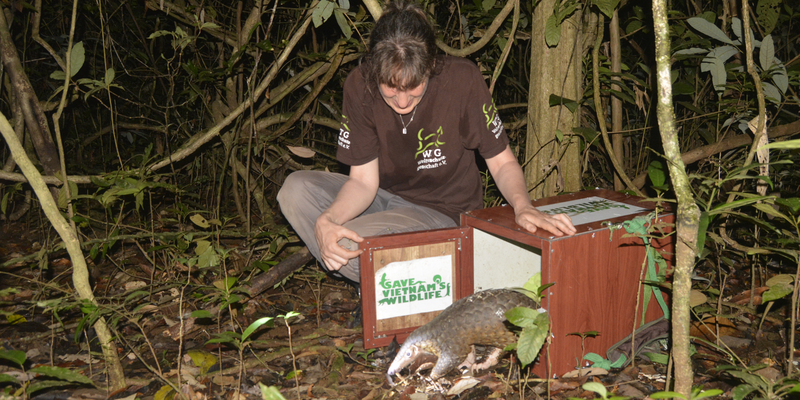 They get a suitable diet and enclosures which are adapted to their needs. In order to sustainably improve the chance of survival of confiscated wildlife in Vietnam, collaboration with the state rangers whose task it is to protect the nature and its animals of the country, is crucial. Unfortunately, many people in Vietnam lack basic knowledge of the needs of wildlife, and many animals die shortly after confiscation. Another problem is that they are often re-released without veterinary examination and sometimes in unsuitable locations. The animals may not be able to survive and, in addition, may spread disease and endanger the rest of the wildlife population. That is why the public authorities are assisted by a Rapid Response Team of our partner organisation. Together with the state rangers, the team, consisting of a veterinarian, a zoo keeper and a counselling and training expert, looks after the confiscated animals before their further whereabouts are arranged. The team is equipped with suitable transport boxes, medical equipment and pet food. In addition, training sessions are held for the state rangers as part of the operation, providing basic know-how on the care and release of wild animals. This creates conditions, in which optimal handling of confiscated animals can be guaranteed in the long term by the state rangers themselves. 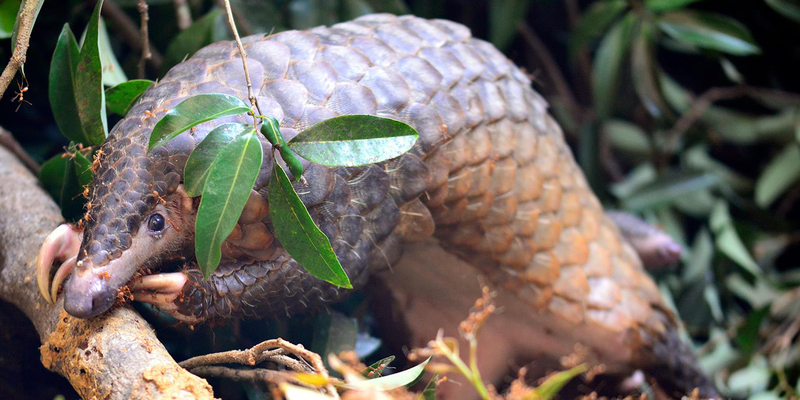 Within the first year, the team has already covered 15,500 km to rescue 436 pangolins and 20 other illegally hunted animals in 27 missions. The veterinary treatment room of the rescue centre was built 15 years ago, consisting of only one treatment room designed for the veterinary care of civets. 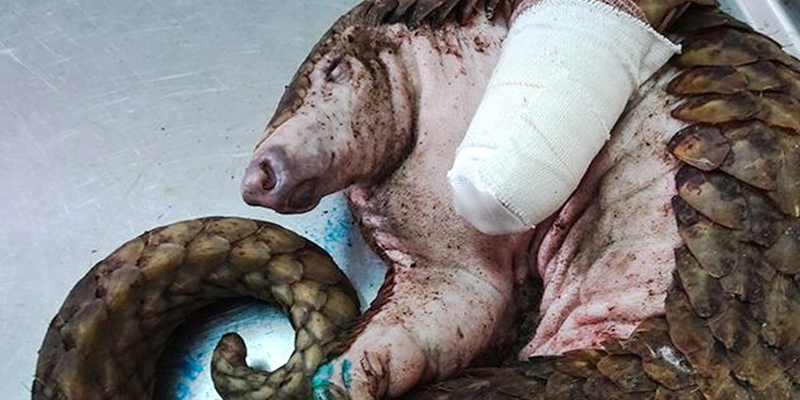 Due to the meanwhile good cooperation with the authorities, however, the numbers of injured and intensively treated pangolins have increased enormously. 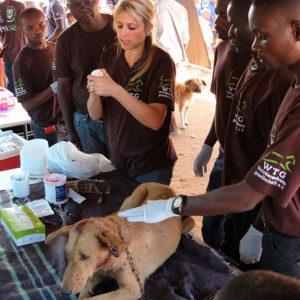 As a result, not only the accommodation facilities have reached their limits, but also the possibilities for veterinary care. 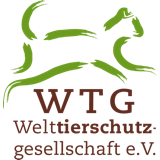 With the support of WTG Welttierschutzgesellschaft, therefore, a new veterinary clinic will be built within the next few months in the protection centre. Thanks to further accommodation, equipped with the necessary veterinary equipment, all animals should be able to receive the best possible care in the future. The hiring of an additional veterinarian also ensures that even in case of emergencies there is always a veterinarian in the centre available. In addition, the clinic will also be available to external veterinarians as a place for advanced training. With all these measures, Save Vietnam's Wildlife and the WTG Welttierschutzgesellschaft are setting new standards in animal welfare in Vietnam. In order to strengthen animal welfare awareness and to encourage people to think, the Welttierschutzgesellschaft has also supported the construction of the public information centre in the middle of the rescue centre. The visitors, including school classes, students, but also tourists, are informed there about the needs of the Vietnamese wild animals. They also learn what severe problems wild animals are facing and that the endangered animals are in desperate need of protection - and that they should not be hunted for traditional medicine or as a supposed delicacy. Especially children are interested in the native species. 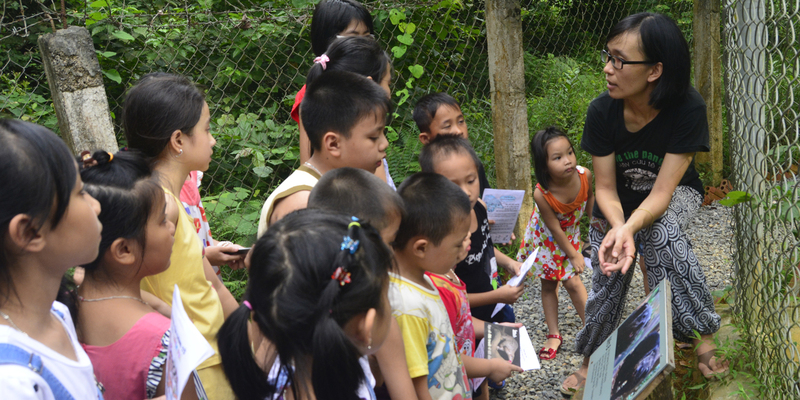 Therefore, an educational programme for children aged four to five years has been developed along with the Education Department of the district next to the National Park, the Nho Quan District. 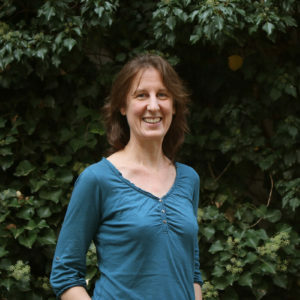 The resulting lesson plans and materials, along with a one-day excursion to the rescue centre, are now an integral part of everyday life in the surrounding kindergartens. It is planned to expand this educational programme annually to other age groups. The first steps have already been taken.